If It's Too Loud...: Sheer - "Room"
It's only been nine months since Sheer released their debut album Uneasy, and they are already changing up their sound in a very subtle way. While Uneasy was filled with dreamy fuzzed out guitar based power pop, their new single "Room" feels like more of an arrangement and less of a pop song. 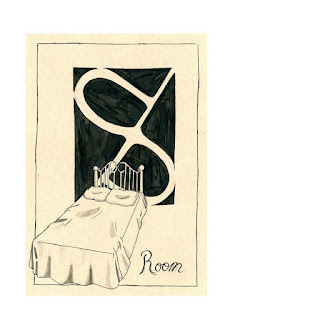 The dreamy fuzzed out guitars are still there, but instead of the typical verse/chorus/verse of a pop song, "Room" is more rambling, like Bob Dylan doing shoegaze. There are verses and a chorus, of course, but it all blends together, and even that structure evaporates as the song progresses. "Room" is available as a hand-numbered made to order 7" that will only be sold until August 4 via The Native Sound, so you'll want to act now to get yours. There is also a $1.00 download version. Both are available at Sheer's Bandcamp. For more information on Sheer, check them out on Facebook.